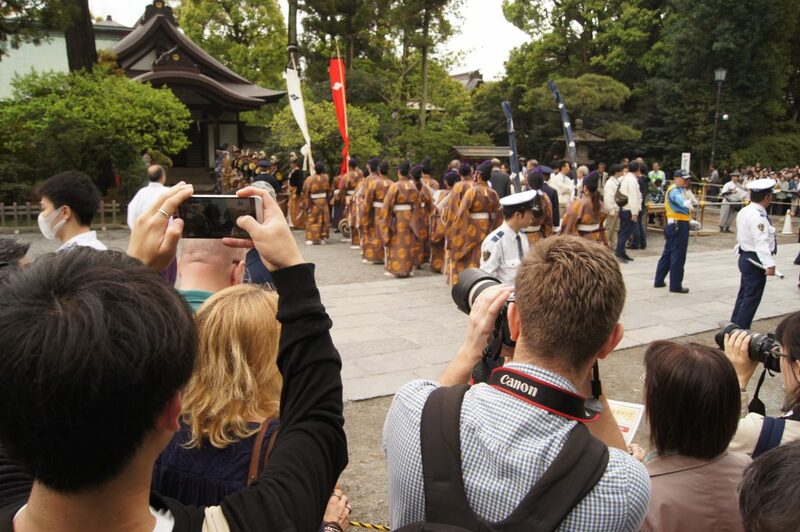 Matsuri experience of a Foreigner living in Japan, by local guides of Huber. I’ve been living in Japan for over 10 years in the busy center of Tokyo. For this reason, it is very important for me to go to nature and meet a quiet and measured rhythm of life of locals and recharge myself. 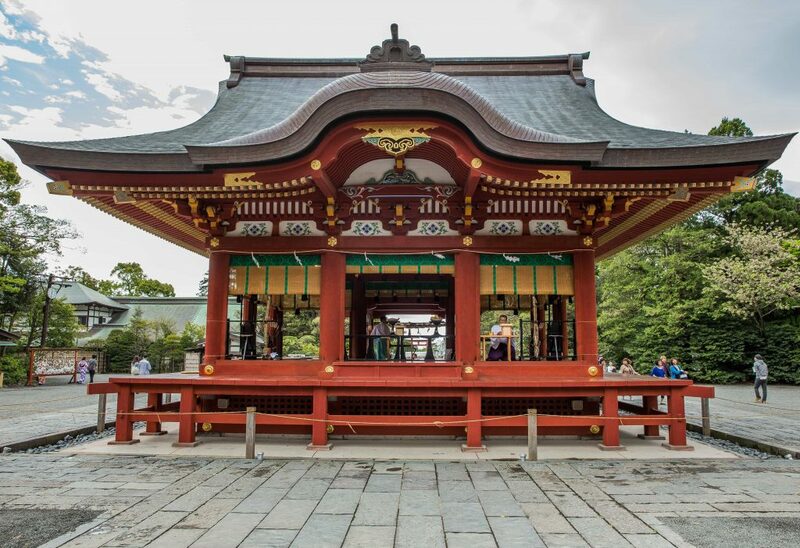 Kamakura is a tranquil suburban paradise close to the sea where you can get by train only within an hour from Tokyo. 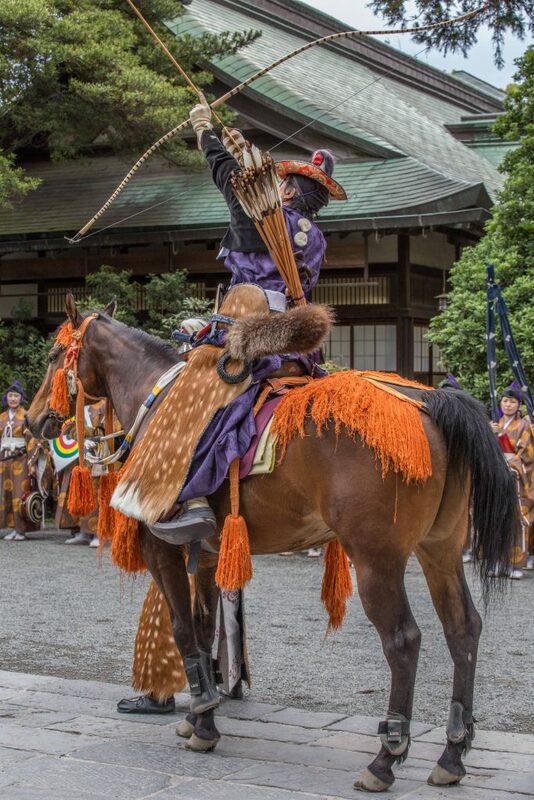 I was always curious about Japanese archery and wanted to see the real action. 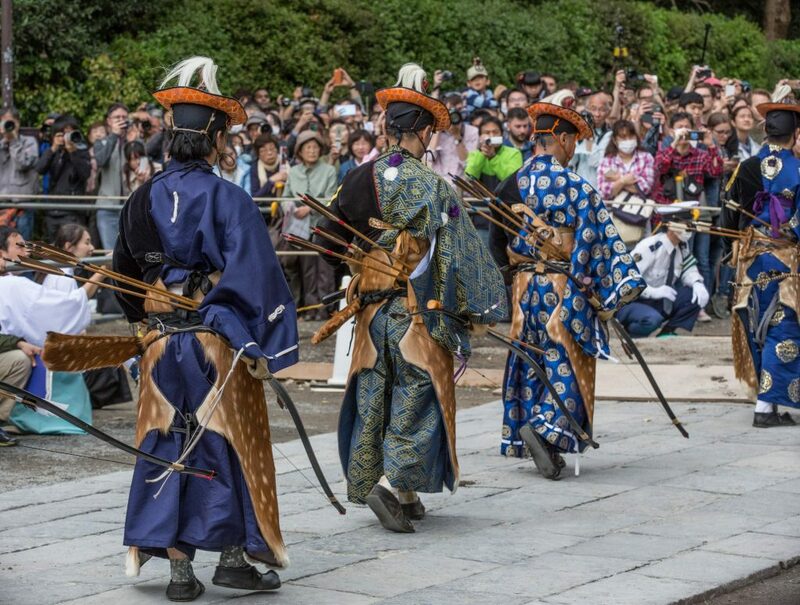 Unfortunately, no one of my friends could fit my interest and go with me to see the Yabusame festival which took place in Kamakura in the middle of April. 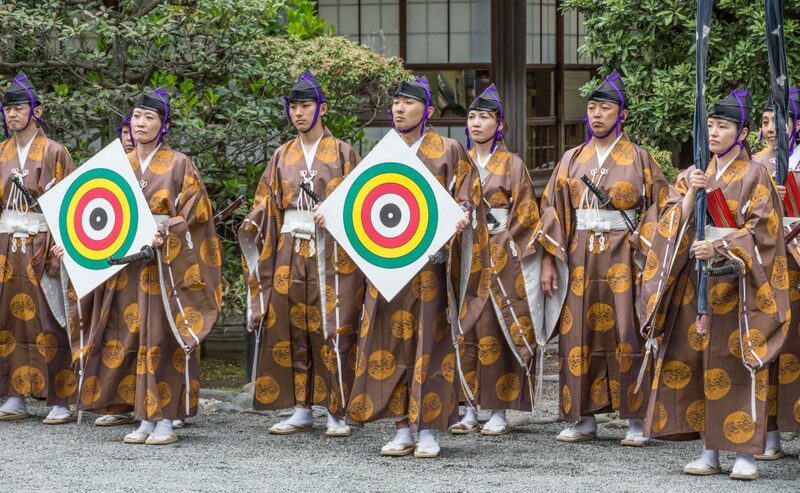 I started looking for more information on archery and Japanese festivals nearby Tokyo and discovered this (FestivalGo) website! 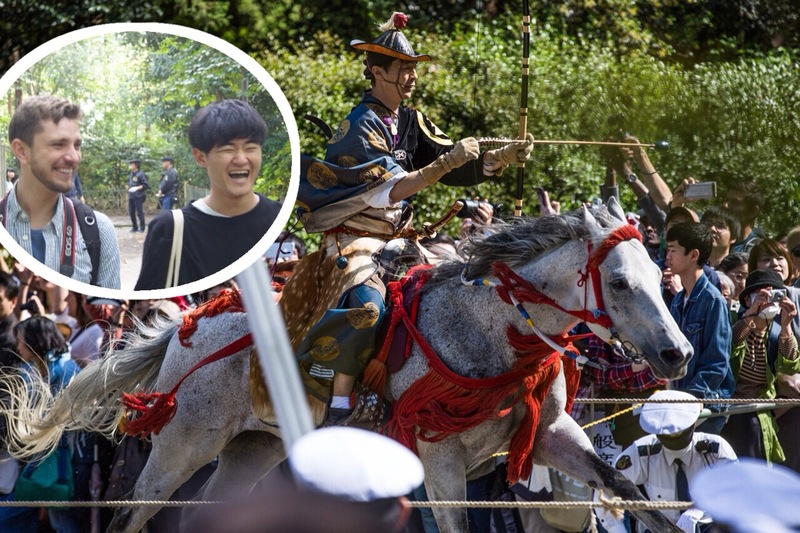 This time, I thought it would be a great idea to connect with local people, who could help me to make my plan, show me good spots and tell more about the festival and Japanese archery in general. 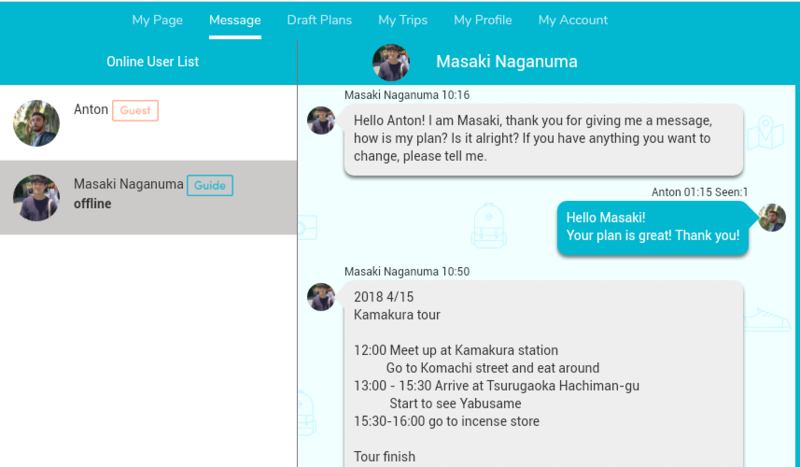 So I decided to use Huber to find my guides in Kamakura. I was looking forward to seeing the mesmerizing nature of Kamakura, exquisite armors of the archers, take stunning photos, and of course, meet my new friends! There was almost no time, as the festival was on Sunday, and I decided to invite guides on Friday evening. I was a bit worried that no one would reply to me because of the short notice. But everything went well. 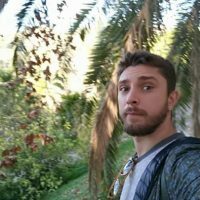 I shared my intentions about an upcoming trip on Huber website and received the almost immediate answer from few guides. All of them sent me a draft for my trip; I only had to choose one. Leo and Masaki – my guides, met me at Kamakura station at 12 pm on Sunday, April 15th. The archery festival was going to start at 1 pm at Tsurugaoka Hachiman Shrine, but we decided to meet earlier to have a quiet walk through Komachi Street. I also wanted to drop by incense store on this street because I really like the smell of traditional Japanese incense. The variety and smell are unique and incomparable with any other incense in the world. Masaki was kind and helped me to understand what was written on the boxes, as it is still difficult for me to read old or handwritten Japanese Kanji. 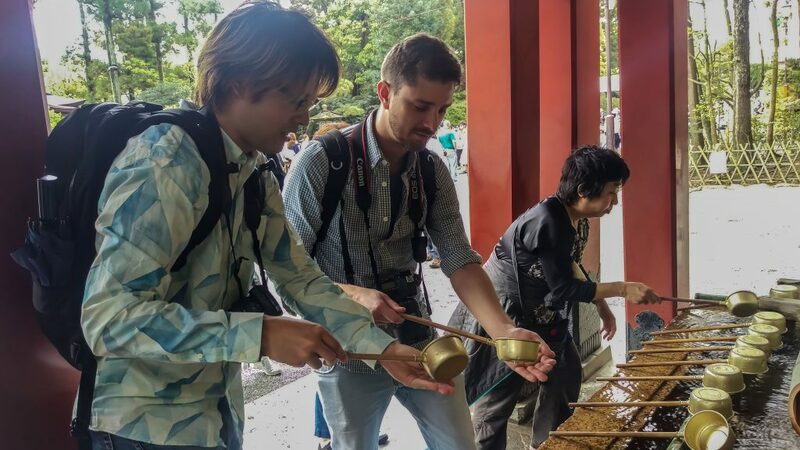 Leo and Masaki took me around the shrine where the preparations for the festival were beginning. I saw how the priests worship the Gods and offer them sake and fruits. We noticed that the area was becoming pretty busy, so we decided to occupy places closer to the horse trail, as I wanted to take nice pictures. 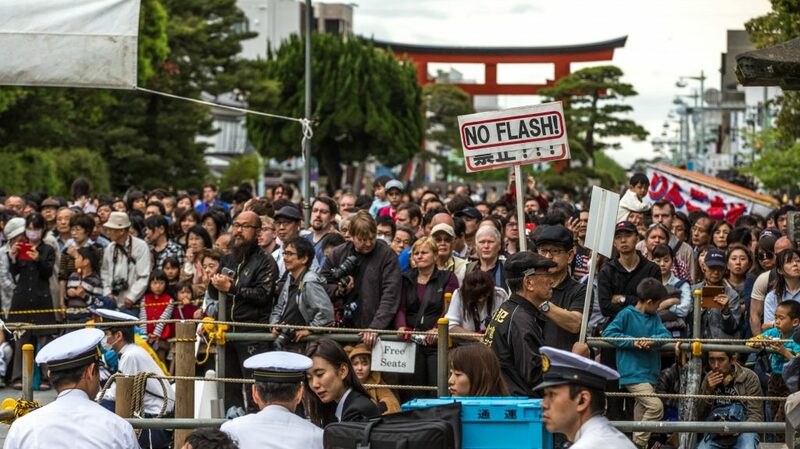 One thing I suggest you think about before you come to this festival in Kamakura is to arrange tickets for reserved seats. I didn`t have enough time, neither I nor Masaki could arrange the tickets. In such case, I recommend you to come to the venue a bit earlier to occupy seats with a better view. I am sure that if I ordered a tour a bit earlier, the guides would have arranged the tickets. 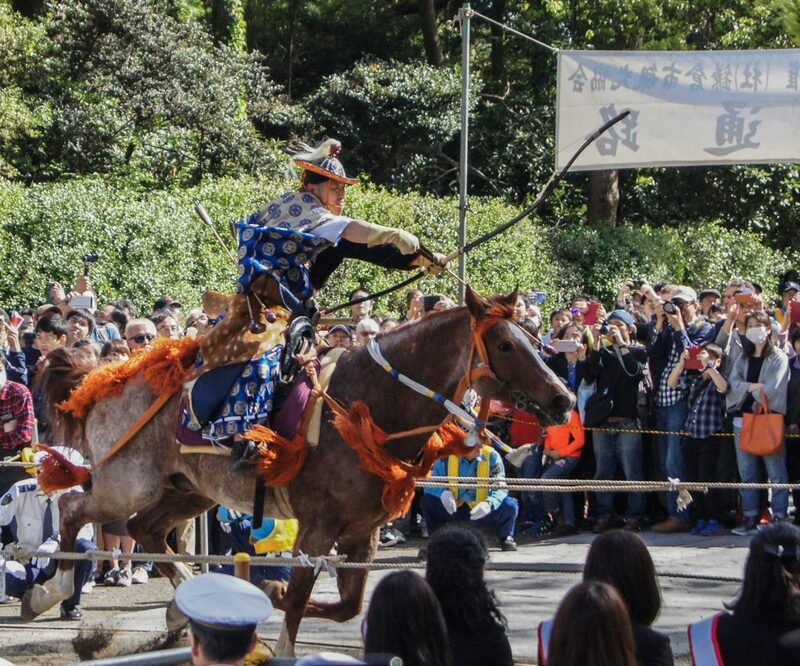 The archery festival in Kamakura turns out to be a very important event not only for locals. This time the Turkish ambassador paid a visit along with some important members of the Japanese government. Besides, I could notice 3 Miss Kamakura. The announcements are provided not only in Japanese but also in English, but thanks to my guides I was able to absorb maximum information during this event. I was expecting to see very beautiful armor, and when I saw the archers in their very rich and traditional cloths covered with the deerskin, I was not disappointed. 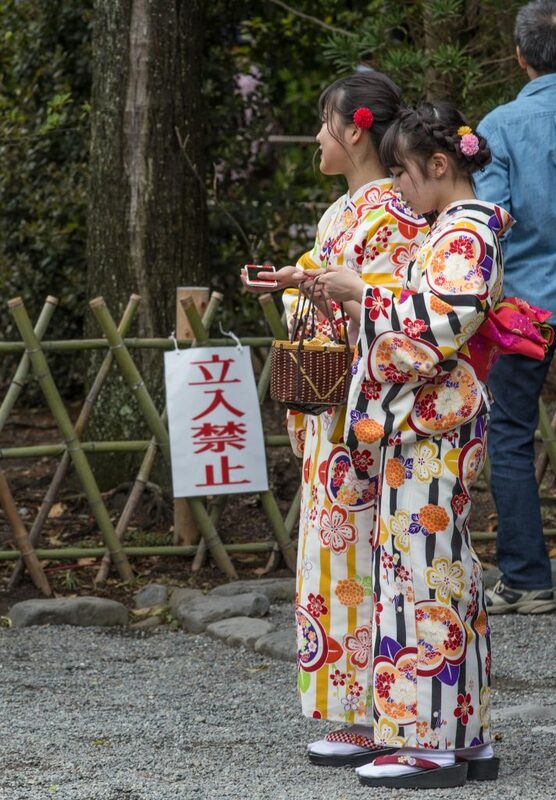 It looks very traditional, but at the same time very unique even for Japan. It`s better to see it with your own eyes when you have a chance. And of course, horses were beautiful. 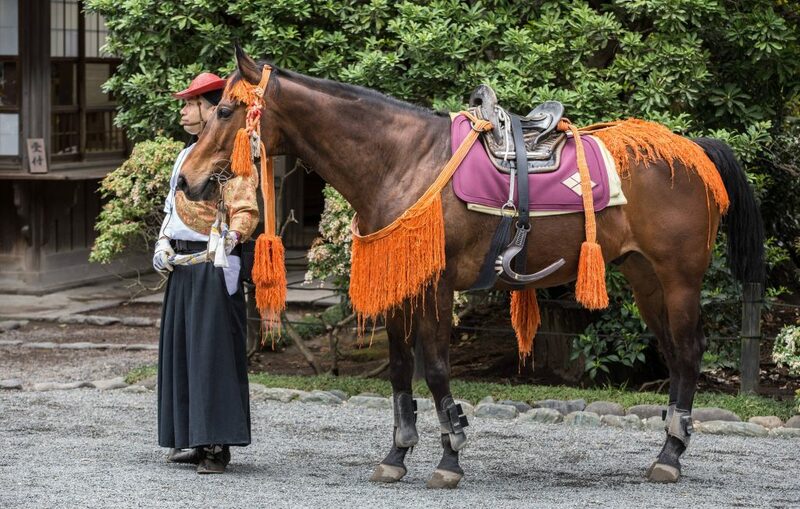 All of them are bred in Japan on the farms with centuries lasting history. 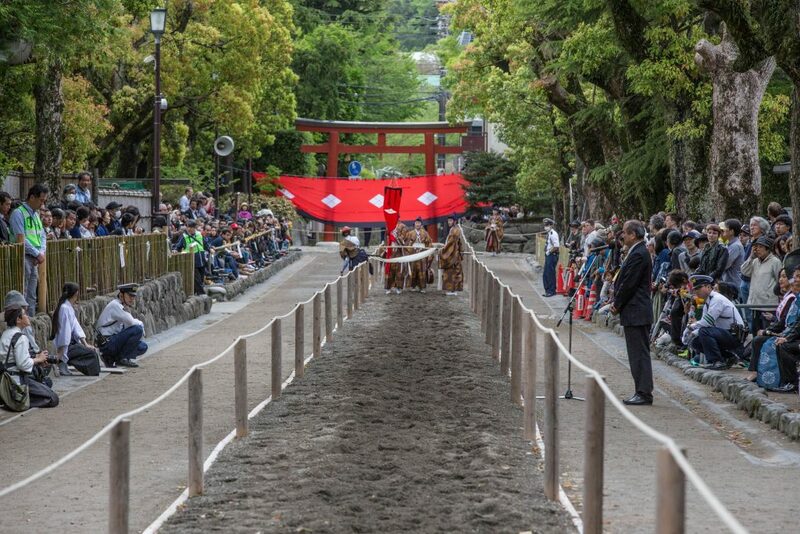 It was diverting to observe the rituals performed by archers, judges, and priests before the competition started. 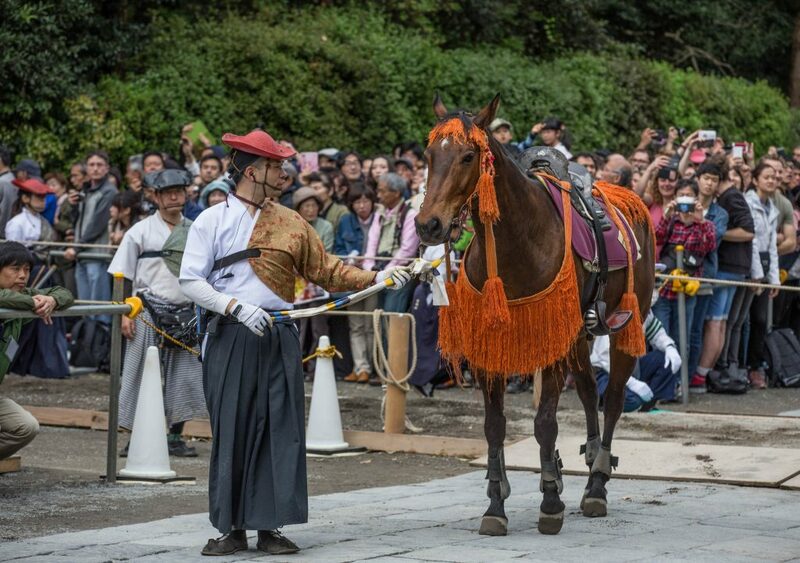 This festival has been held for over 800 years, and this tradition began at Minamoto samurai clan ages when Kamakura was a capital of Japan. Since those times there were no changes in this picturesque festival. 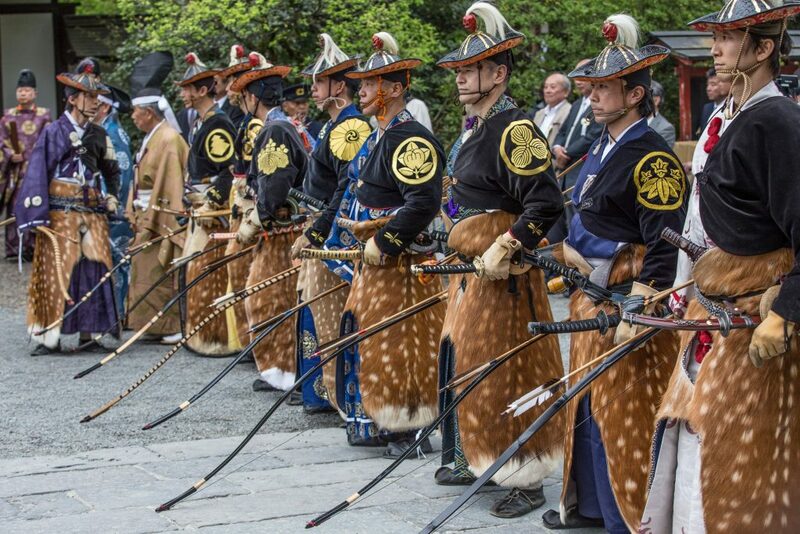 The armors that archers wear are as real as the samurais were wearing in the Middle Ages. When the parade and rituals are over, the competition begins. The arches are training hard to compete at this festival. Usually, the first 3 archers who participate are the strongest ones. The archers must hit 3 ceramic targets while riding the horses at a very high speed. This is a really breathtaking show! Usually, this festival is arranged twice a year in the middle of April and in the middle of September on weekends. So if you are around Tokyo this time, you should definitely go and see this show. I suggest you come with locals as they can suggest you a better spot to look at the competition tell you more about the history of the festival and region generally and give you a useful advice on where to go and what to see. One more reason why I really like Huber is that the guides really appreciate intercultural communication. Along with their cheerfulness and eagerness to support, there is one more essential thing which connects people, it’s food. Without doubts, local people know hidden culinary gems. After having some glazed fruits at yatai (street food stalls) during the festival, we decided to have a proper lunch on our way back. I am not a fan of Japanese curry, so when I heard that Masaki and Leo were suggesting a curry shop, I was a bit skeptical. But trust me; locals are never wrong with the food choice. My guides took me to a very authentic place, like everything in Kamakura. I have never tried such a tasty Japanese curry before. My plate was bursting with colorful vegetables and the taste was exceptional. I think I became a Japanese curry victim from that moment! 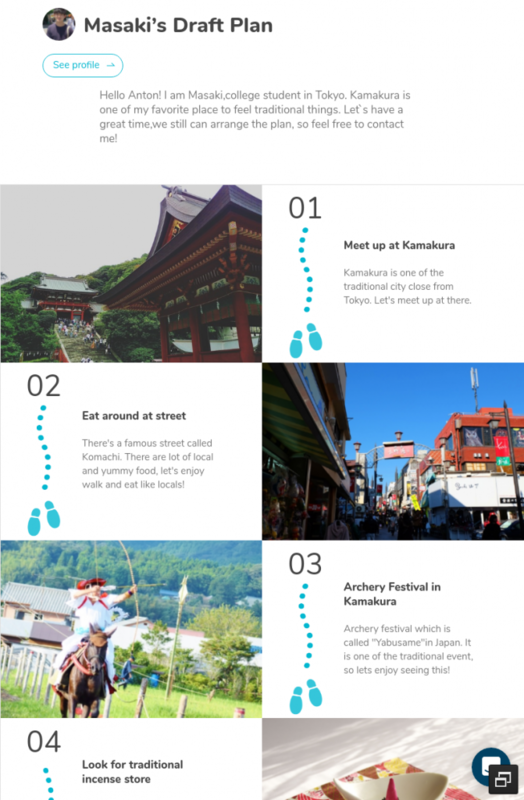 Kamakura is one of the most popular day trip destinations from Tokyo. You can easily get to the festival anywhere from central Tokyo within an hour by taking JR Yokosuka line. 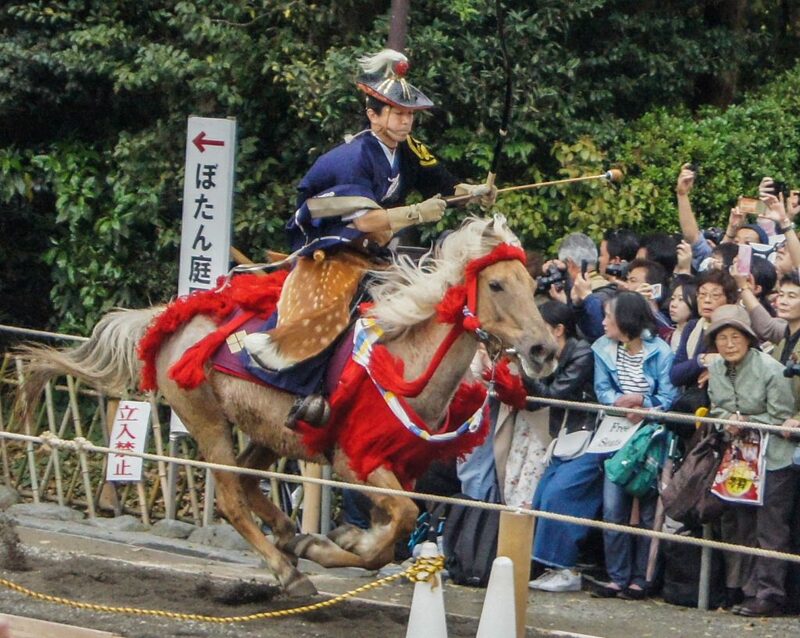 Arrive at Kamakura station and walk about 10-15 min to Tsurugaoka Hachiman shrine where the festival is arranged. I was surprised how convenient and time-saving Huber service is. It was really easy to communicate with the guides and sketch our plan. We fulfilled it successfully. After meeting at the station we walked through a traditional shopping street with plenty of local souvenirs. Leo and Masaki helped me not to get lost in the incense store. Their advice was extremely helpful at the festival. We could choose a proper spot to take good pictures, they told me a lot about the art of archery in Japan and particularly in Kamakura. 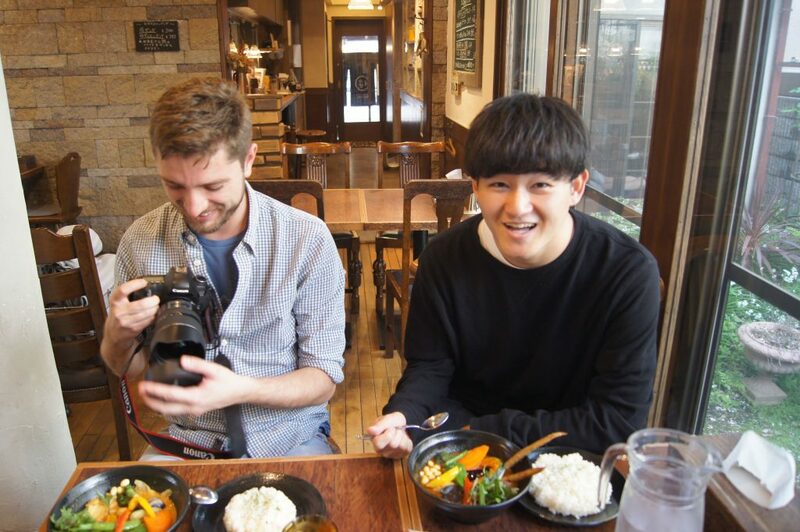 And of course, the taste of vegetable curry which I discovered with Leo and Masaki will stay in my mind forever. 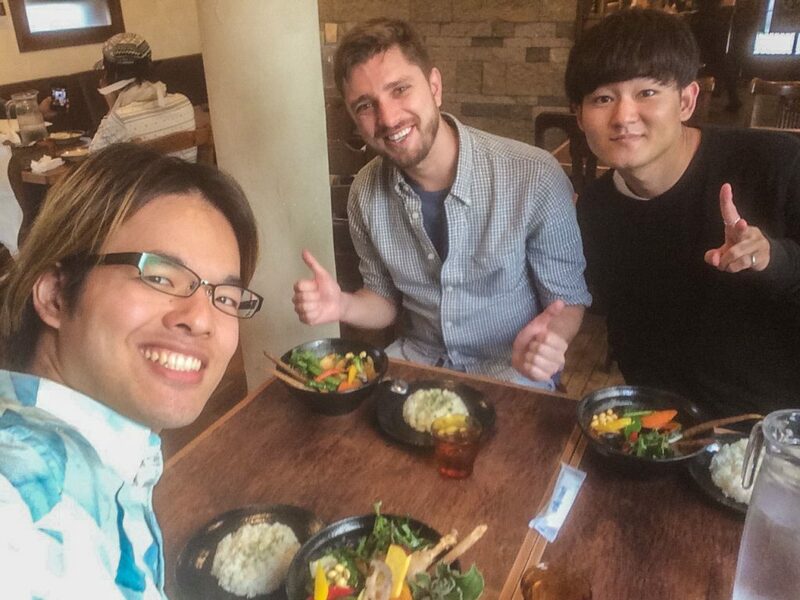 I spent a great day, got to know much more about archery in Japan, had a great food and most important – met great people on this day! I wish there was such service as Huber when I arrived in Japan 10 years ago. It would have made my travels much more productive and enjoyable. Even after a long time spent in this country, it is worth using the service as you always learn something new and get to know new people. Enjoy Japan! Hope you enjoyed reading this article! 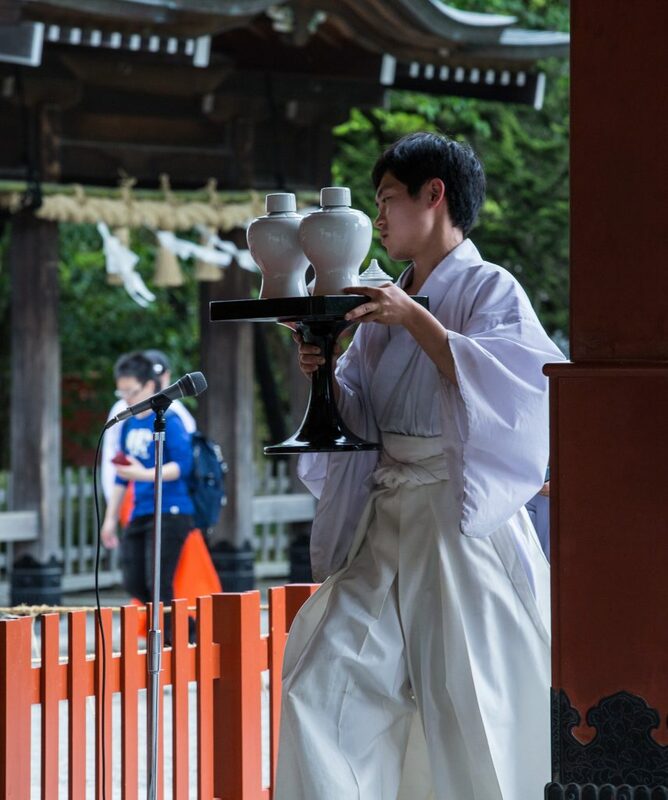 In order to feel a unique atmosphere of Japan, you do not necessarily need to visit a traditional festival. 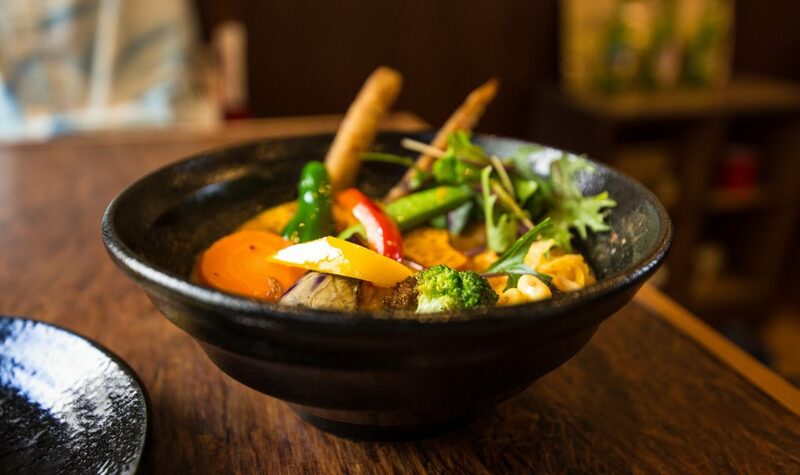 For example, walking around small streets and trying local delicacies can also give you an unforgettable experience. Mei, who is an exchange student here in Japan, tries to spend any moment to explore this multidimensional country. 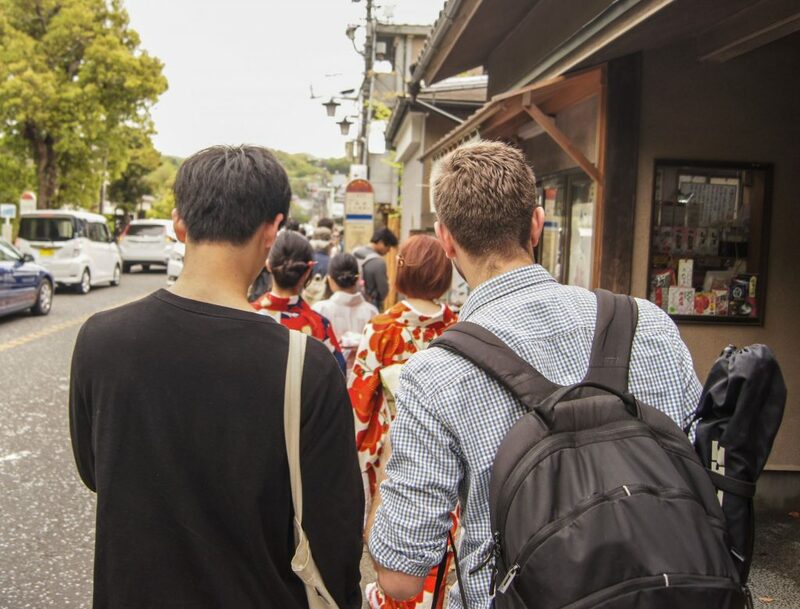 I am even a little jealous that modern students have a chance to connect with local people and explore Japan so easy! 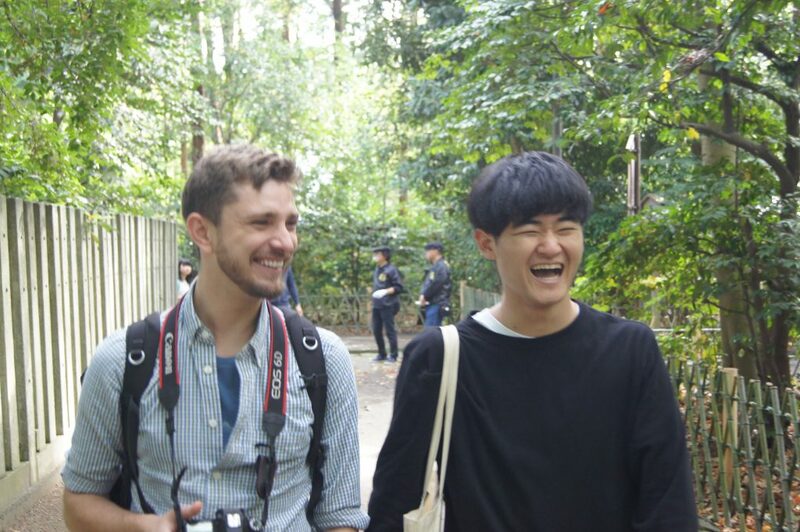 I wish there was such an opportunity when I came to Japan as a student. 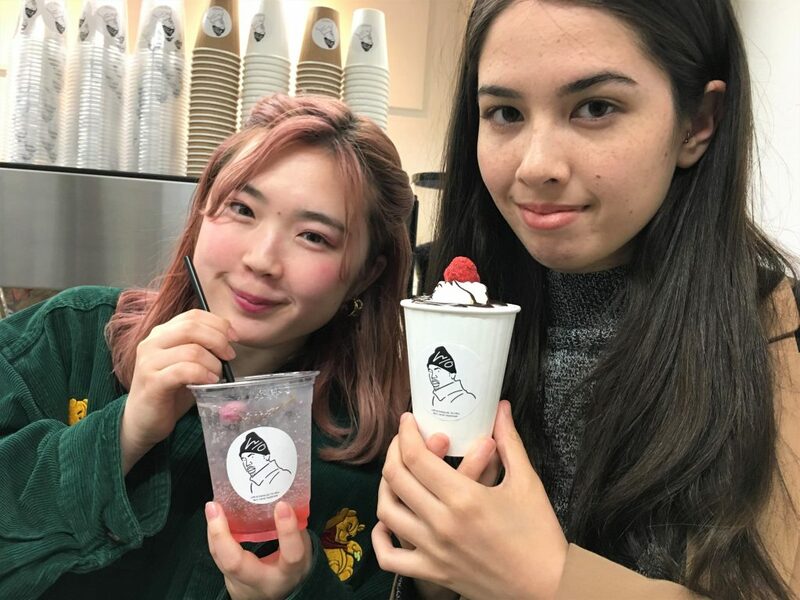 Check out Mei`s experience with local guides in Shimokitazawa! 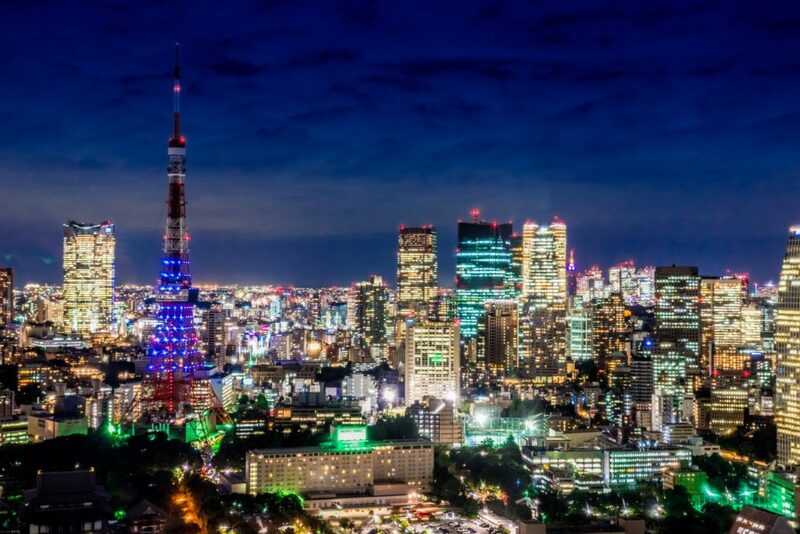 An Ultimate Idea Source for Your Tokyo Stay! I`ve been living in Japan for over 10 years and still fascinated with this unique country. I always discover something new about the land of the rising sun when there is a chance! Cherry Blossoms in Asakusa - Best Place to Feel the Festival of Spring!